Because I’m getting nowhere near as much exercise as I previously did in Wellington, I’m trying to get out and do regular walks in Auckland. My currently frequent circuit is around Takapuna and along the beach which is always enjoyable and certainly very popular with other walkers, joggers, swimmers and other water sports. Very tempted to go for a swim in the beach in the near future when there’s a nice hot weekend day, it’s certainly popular for that and with the very gradual beach it looks like it’s quite shallow for some way. 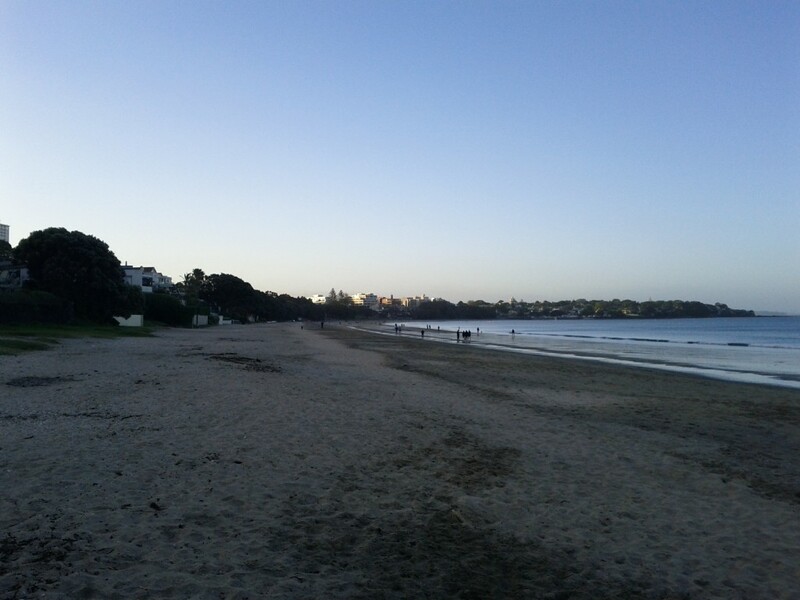 Takapuna beach in the evening. I do love coming down here late at night when the beach is almost pitch black and wandering along the beach with only a few other weirdo night owls walking dogs as company. 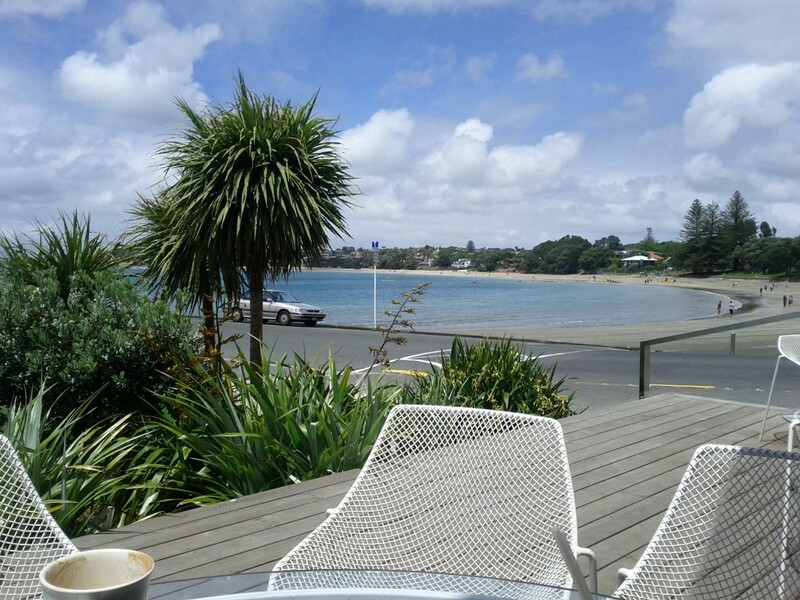 At the boat ramp end of the beach there is the Takapuna Beach Cafe which offers brunch options including a number of vegetarian options and seems quite popular with the locals, being packed whenever I go there. I personally don’t rate their food that highly, I think it’s somewhat average and should be better for the premium they charge, although I can’t fault the location and views from there. 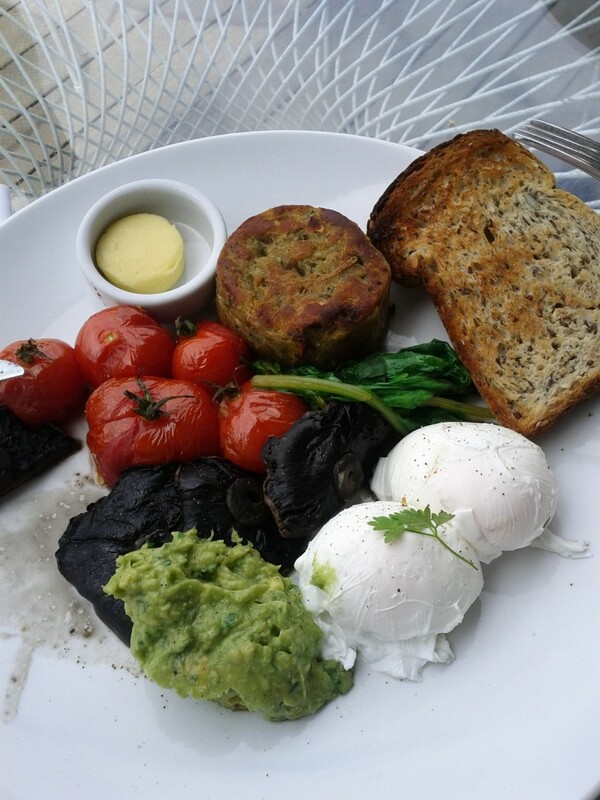 Vege brunch at Takapuna Beach Cafe. Looks promising, but didn't really do anything for me, not a huge tomato fan, the hash cake thing was a bit bland and the toast just a bit plain. On the plus side, the beach cafe *does* offer some excellent gelato and the gelato takeaway portion of the cafe is open till late in the evenings even on weekends. It’s better priced and better tasting than the Movenpick along Hurstmare Rd as well. 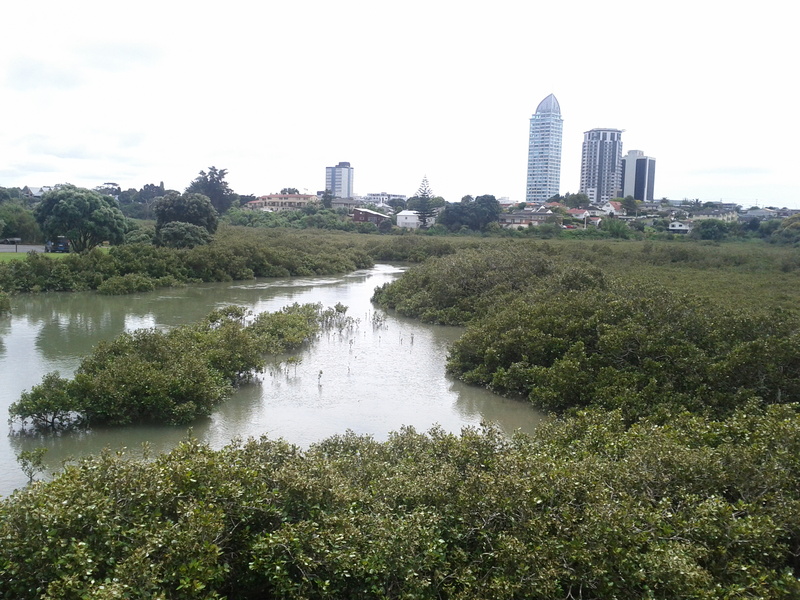 I’ve got a pretty good loop circuit from our apartment block, down the highway to Hauraki, along the full length of Takapuna Beach and then back through Takapuna’s shopping district. The area near Esmonde Rd has a marshy swamp area that’s always interesting, with a seemingly large population of Pukekos living there and wandering out onto the pedestrian area and sometimes even Akaranga bus terminal to say hello. You can view this map in full size on Google Maps. 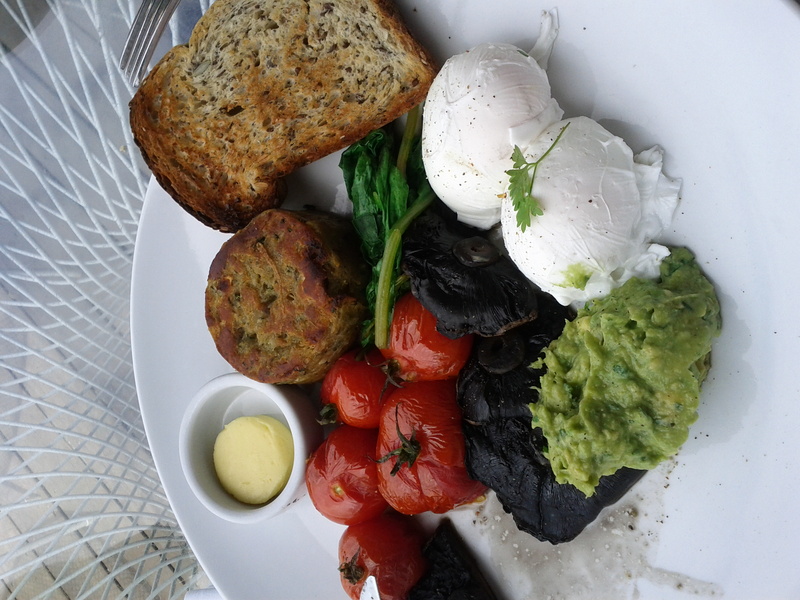 This entry was posted in Uncategorized and tagged auckland, beach, food, outdoors, reviews, takapuna, vegetarian, walks. Bookmark the permalink.